Happy inter-holiday gap, fish folks. The latest addition to our family is scheduled to arrive January 27. I'll be taking most of next year as parental leave and have been thinking that I might take a run at raising some of Fred and Barney's (tomato clowns) eggs. 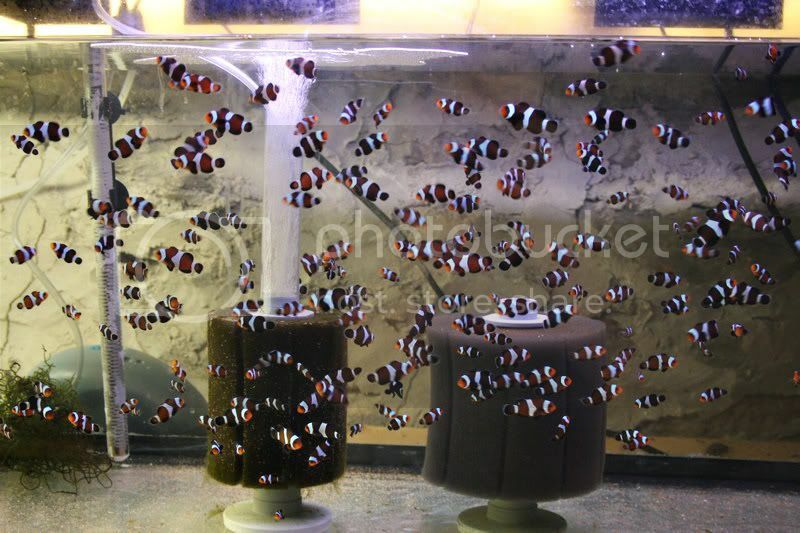 Is there anyone on AC, preferably in the Ottawa area, who has had success raising clown fish? 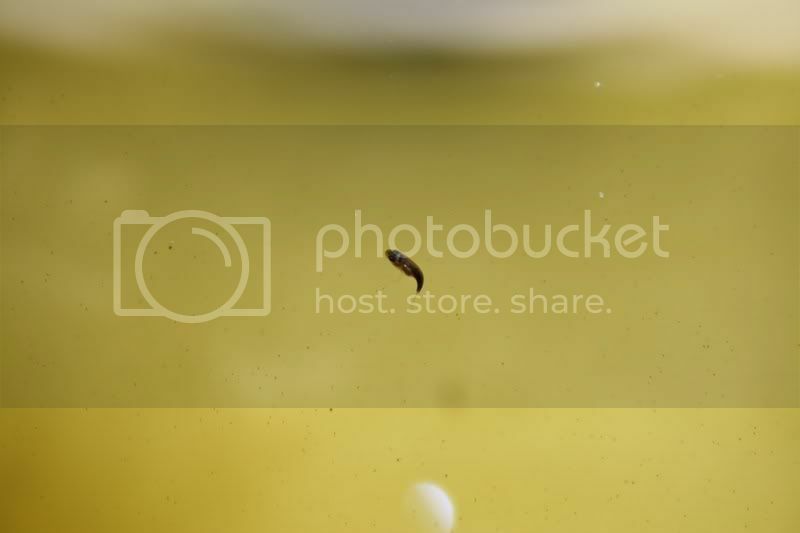 I'm probably going to try to setup cultures of phyto, rotifers, and brine shrimp. Any guidance would be greatly appreciated. 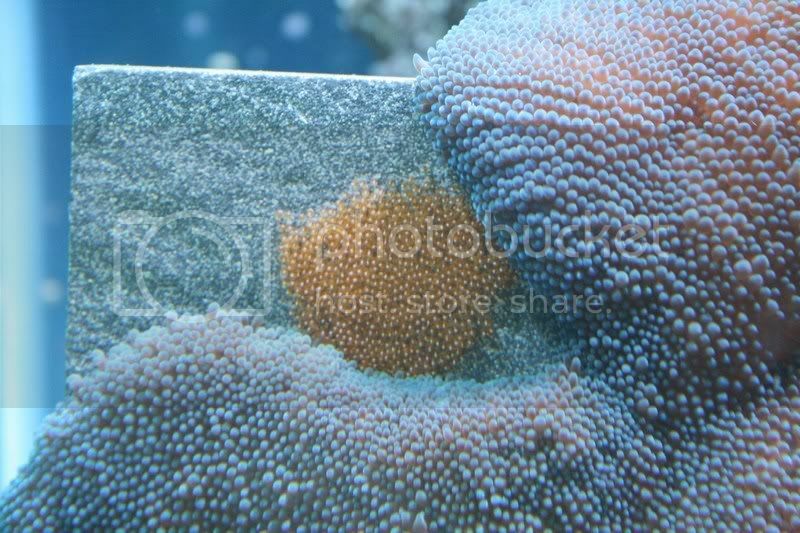 Has anyone got phyto and/or rotifers that they would be willing to sell/donate to the cause? If I had more time ( and more space ).. i'd love to give it a try as well. Hope all works out for you!!.. keep us posted ! 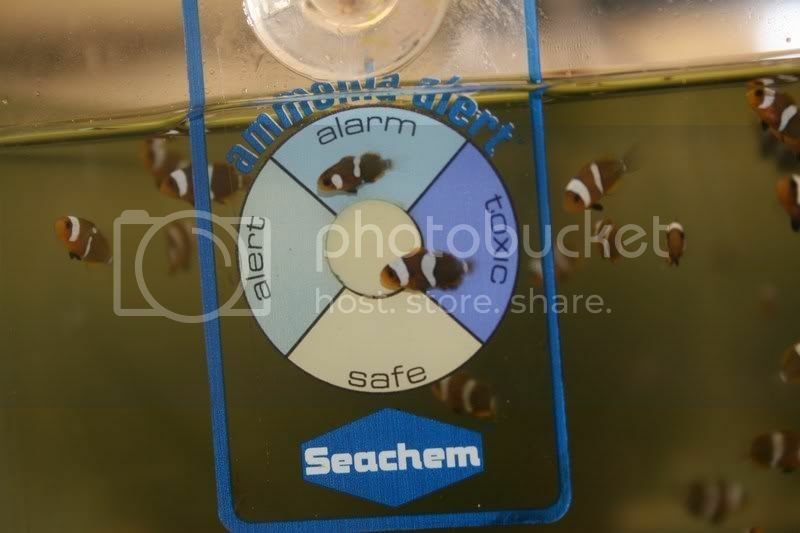 Are you referring to trying to raise clown fish or the fact that I'm about to become a daddy for the third time? I assume you're referring to the fish. I'm philosophical about it. I had always planned to give it a try when I retire. I've been at this for a long time so I'm used to trying and failing and trying again. I've come up with a plan for getting the fry out of my main tank. 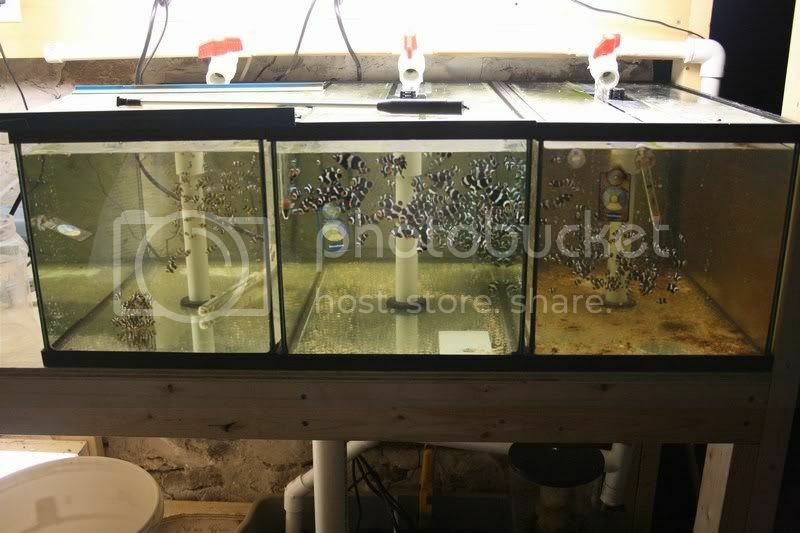 We're going to setup phyto, rotifer, and brine shrimp cultures along with a 10 gallon fry tank. We're prepared for several failures. The good news is that Fred and Barney lay eggs every two weeks so we'll have a ready supply of fry to work with. Time is the key for me. I'm going to take this opportunity while I'm home for nine months and can tinker and fiddle. If I can get a process up and running I may try to continue after I go back to work. Thanks, I will. I'll start a new topic when I actually get serious about setting up my cultures. If I can do that my main tank should be happy for all the extra food even if I don't get any fry. he he.. ya.. I was talking about raising the fishies. 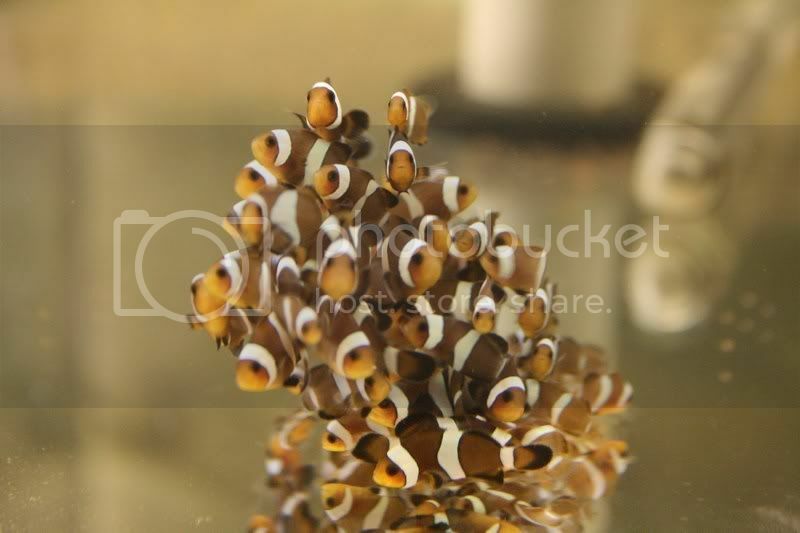 The 8 month pregnant wife agreed to the clown fish breeding program this evening. I just ordered 1 lb of decapsulated brine shrimp eggs, a nannochloropsis disk, Macro Algae Grow, rotifer cysts, Roti-Rich, and a rotifer strainer. They should be at my US post office box in a week or so. Now I need to find about twenty 2L torpedo soft drink bottles, a 10 gallon aquarium, and a bunch of rigid air line tubing. Hey I just found your post. I don't check here often enough I guess. I could have supplied you with some Rots to get started. 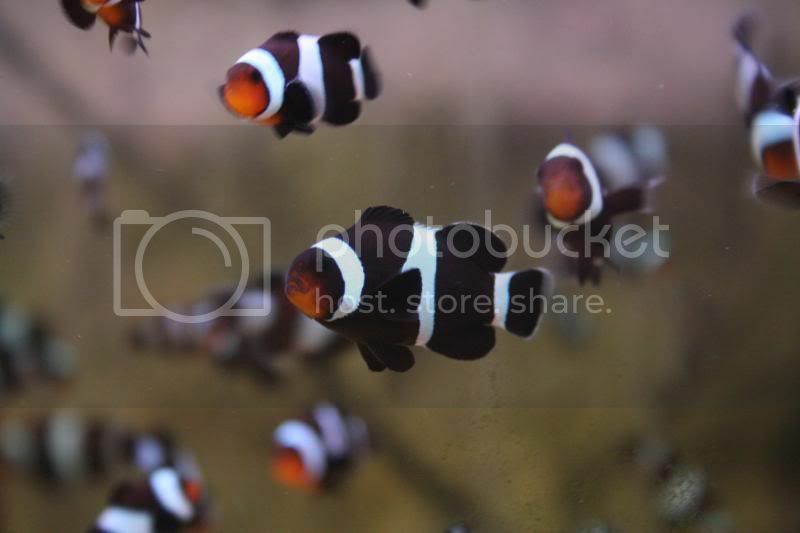 I'm breeding black Ocellaris clowns. I can help if you have any questions. I think most of the things you purchased are great and should give you a head start. You'll need some rigid airline tubing for the bottles as well. What are you planning on culturing the rots in? Not 2L bottles I hope? Just to give you an idea my hatches are currently averaging about 650 eggs and I have 3 salt pails as my rotifer cultures. Tomato clowns if I'm not mistaken will lay up to 2000 eggs. That's alot of pop bottles of Rots! I'm not currently culturing phyto. I use Rotifer diet from Reed's. When I was using phyto I kept 5 bottles on the go. I think that number should be a good starting point for you. I would have them so you split twice a week. Ie: Sunday split 2 bottles, Wed or Thurs split the other 3. That way you don't have a bunch of bottles cluttering up your fridge. Also I stopped using brine shrimp probably 5 months ago. I use Otohime A for the small larvae (once they get a headband) and I buy Otohime C2 for growout. I just crush it for them once they are too big for A but too small for C2. (A is tiny particles C2 is about the size of small pellets) Honestly brine shrimp are the biggest pain to grow / harvest properly. Decapsulating is time consuming but if you don't the babies will eat the shells and die with ruptured stomachs. Also if they eat too many they will die. I'm having alot more success with Otohime with alot less work. 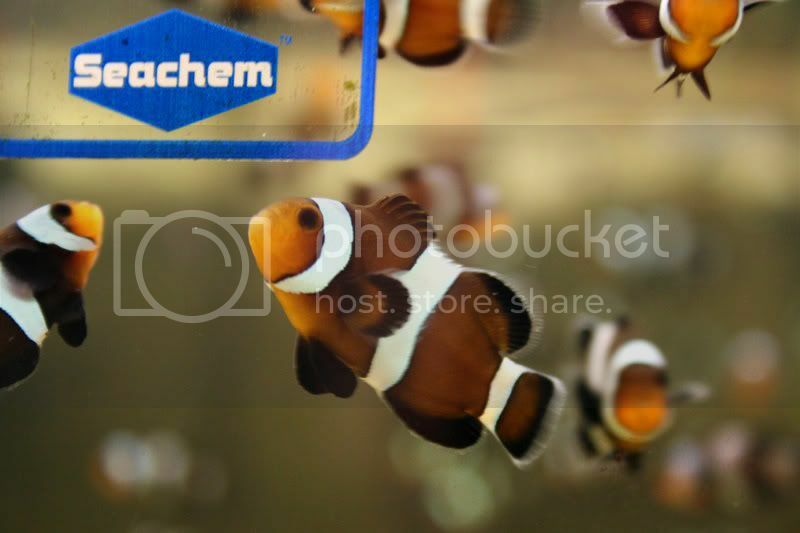 How are you getting the eggs from your main tank to the larvae tank? Are they laying on a tile? If there is any questions you have ask away and I'll help as much as I can. Thanks. It's great to hear from someone else who is doing it. I had always said that I was going to give it a try when I retired (in about 12 1/2 years) but I'm going to give it a go for the next few months. 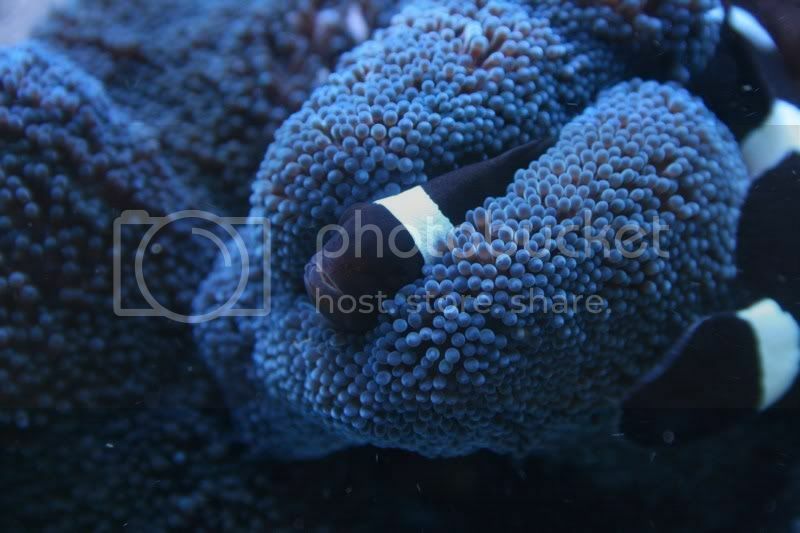 Black Ocellaris are one of my favourite clowns. I've never kept them but Lily and I were looking at a bunch of them in a tank in Ottawa on Tuesday. Very pretty. I've had trouble finding rigid airline tubing in the past. I bought some tubing at Canus in Ottawa but it was a bit too big. I hadn't really gotten as far as deciding what to culture rotifers in but pails is a good idea. I was thinking about going with seven bottles. I was going to dump one out each day then refill it and let it cook. I don't mind it being a little labout intensive at first because I'll be home full time. I'll be looking to cut down the work a lot if I get the process working and end up going back to work in Ottawa. Joyce Wilkerson says that brine shrimp are a pain in the tookus but at the time that she wrote the book they were just starting to have success with powdered food. I bought 1 lb of decapsulated brine shrimp eggs. I often hatch brine shrimp to feed to my main tank but hate (HATE) sorting out the egg casings. Even if I start using flake food the brine shrimp will be welcomed by my big fishies. Wouldn't that be lovely? They actually lay on the top of a cave in the bottom of my 220. There is no way to get the rock out and the last time I disturbed them they stopped laying for 19 weeks. I was thinking about building a closed loop larva snagger. I can get a 1" hose down near the clutch quite easily. 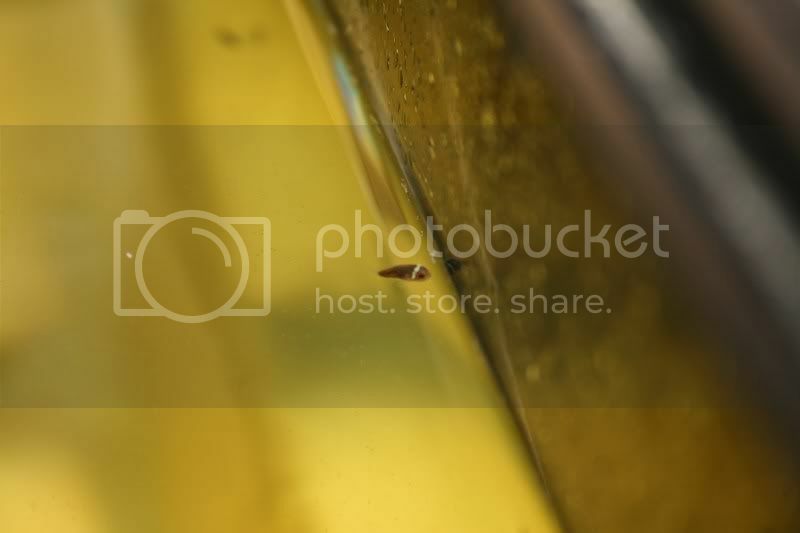 I am hoping that I'll be able to get the larva to swim to the end using a small light then to siphon them into the snagger to transfer them to the larval tank. It may be an absolute dead end and not work and this may be a complete non-starter but I'm going to give it a go. Thanks. It's very kind of you to offer to help. The baby is scheduled to arrive on the 27th. I'm going to watch their laying pattern for the next few weeks while I get setup and I'll probably try snagging the larvae to see if I can make it work. I'll post notes and pictures here as things develop. Do you have any pictures you can share? You could put a tile in near where they are laying. That may get them to lay on it. It may also disrupt their spawning.. Its a chance you take. They are sofa king cute!